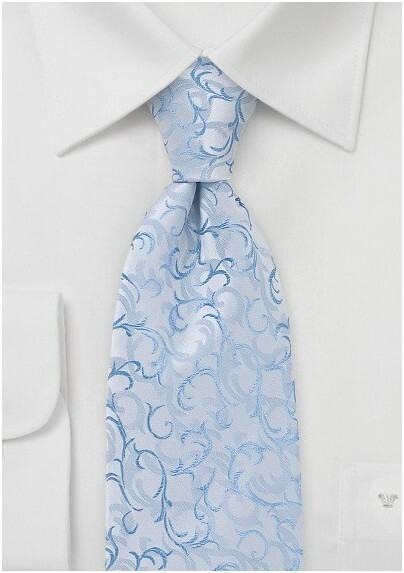 Update you aesthetic with this luxe necktie in metallic shades of blues and silvers. The uber modern scroll pattern has a contemporary look that gleams with style, motion and exquisite craftsmanship. The unique composition is handwoven in to the premium silk textile with a Jacquard loom. 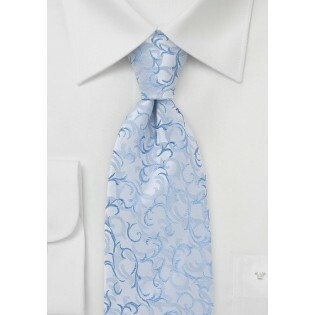 Bring out the coolness of the colors by teaming this tie with well tailored blue dress shirts and grey suits. Designed by Chevalier.